Do you ever eat certain foods and feel sluggish afterward? It may be because you have a food sensitivity. Now you can use your phone to detect that sensitivity minutes after your meal, thanks to a new app developed right here in the Bay Area. Brendan Ruh is a believer. He says he loves eggs, but after finding out he has a sensitivity to the whites he now only eats the yolk and gives the rest to his dog. “I feel more energy, more clarity, and I feel less stressed,” Ruh said. Ruh made the meal makeover after using the new Bulletproof Food Sense app developed by Sweetwater in Los Gatos. After every meal, Ruh put his finger on the flash of his iPhone. The app read his heart rate and detected changes 30, 60 and 90 minutes after he finishes a meal. That number is then compared to his heart rate before the meal. If the spike is too high, the app indicates he has a food sensitivity to what he just ate. 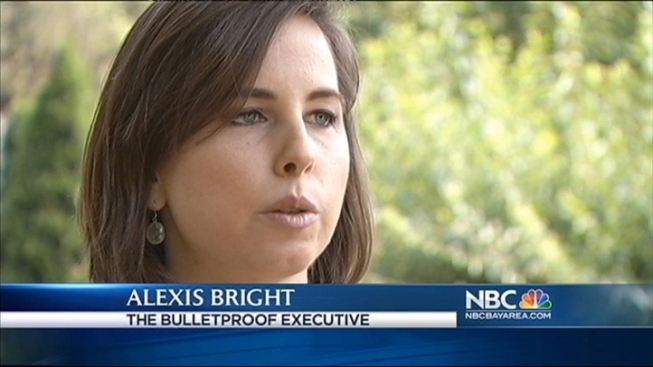 “It’s based on research by Dr. Arthur Coca that shows there is a correlation between your heart rate and food allergies if your pulse jumps 10 points or more,” Bulletproof executive Alexis Bright said. She calls the app a kryptonite detector and says knowing which foods are making your body weak may also help you lose weight. NBC Bay Area talked with an allergist about the app. He says it may offer a starting place to determine if you need medical testing to determine if you are allergic to a certain food, but said you shouldn’t eliminate a whole food group based solely on this app.